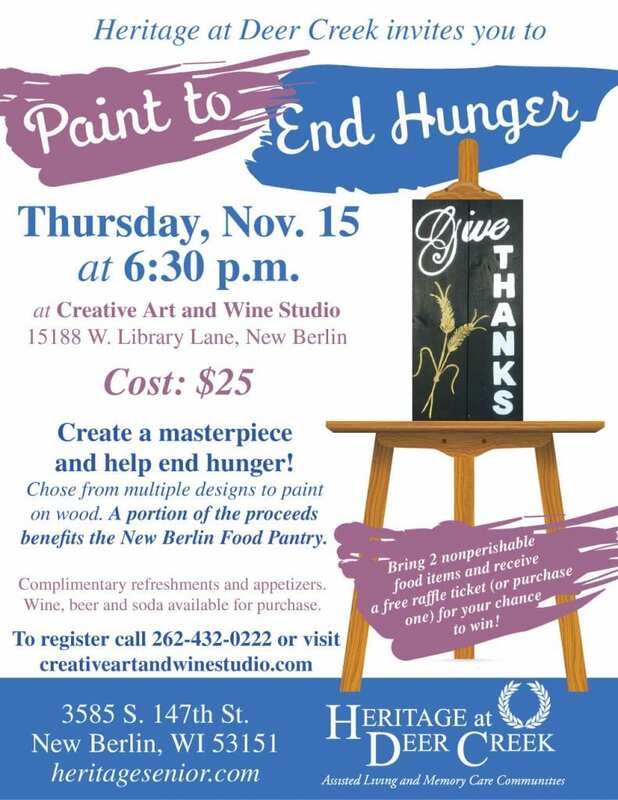 Join us at Creative Art and Wine Studio to create a masterpiece and help end hunger. The cost is $25 and a portion of the proceeds goes to benefit the New Berlin Food Pantry. Choose between multiple designs to paint on wood. Complimentary refreshments and appetizers will be available. Wine, beer and soda will be available for purchase. Bring two nonperishable food items and receive a free raffle ticket (or purchase one) for your chance to win some amazing prizes. To register, visit creativeartandwinestudio.com or call 262-432-0222.